What if gin never caught on? Think about it. How unlikely was it that a Dutch doctor experimented with infusing herbs into alcohol and his results ended up being the base spirit for nearly half the classic cocktails in the books. What if a Swedish liqueur had been used? Aquavit and gin are nearly the same, an infusion of herbs in grain neutral spirit. Aquavit does not have juniper, though, and the fennel and cumin flavors are pretty dank. Use them in a Aquavit & Tonic only if you are sure you can handle the switch, and imagine that there's no such thing as a Gin & Tonic. 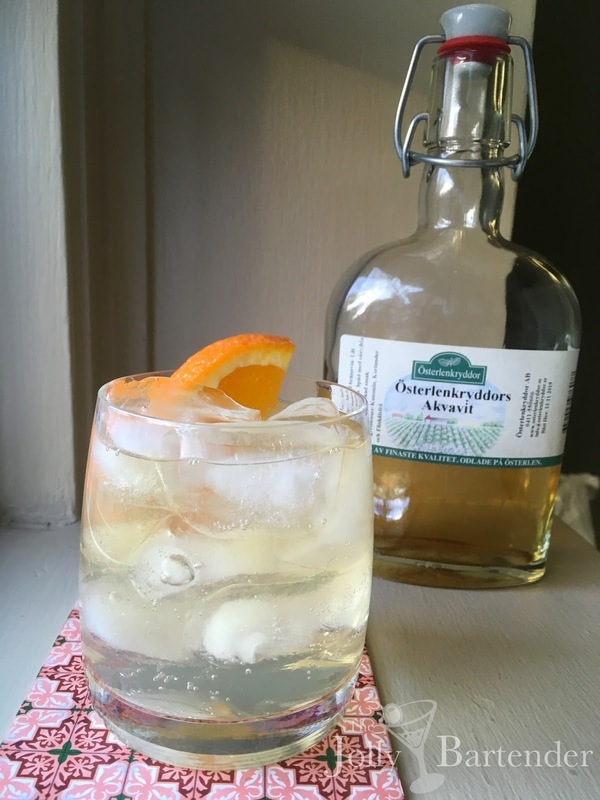 Build drink with aquavit in a Collins glass full of ice. Top with tonic water and stir. Garnish with lime wedge or orange slice.